MTR Custom Leather strives hard to customize each holster with the best quality and detail. MTR Custom Leather takes great pride in all products that we produce because they are hand crafted for each customer to order. MTR Custom Leather strives hard to customize each holster with the best quality and detail. Because each holster is custom- made to order, we ask you to be patient with us. When you order a holster from MTR Custom Leather please allow 15-20 weeks for custom items. Custom items like full exotic leather, thumb breaks, some lasers/lights/optics, etc. Belt and non-custom items may take 8-12 weeks for production. To find out your status of your order login to your MTR account. Don’t forget to check out our quick ship items. Feel free to give us a call (336) 879-2166, to find out our current production time on an order. We will try our best to work with you for a certain occasion like birthday presents or holiday gift, etc. Don’t forget get about our gift cards. MTR Custom Leather wants to inform all customers that each order as stated above is made to order. Therefore, once the professional manufactures get to production on your order, they may come to the conclusion that your order may not be able to be completed. Due to multiple of reasons, like the variations/attributes/options of the order may not be functional once properly put all together. If the order with all the different options does not seem safe or functional when engineered, than the manufactures will not be able to complete the order. At that time, we may be able to give you other options for the order or a full refund will be given back. MTR Custom Leather stands behind the craftsmanship of all our products. If your holster has any manufacturing defects due to normal use such as, loose or torn stitching, torn leather, we will take all necessary actions to correct the problem. If the defect is found to be because of misuse or abuse, we will communicate with you to reach a fair repair or replacement cost. If any chemicals or solutions have been applied to the product, then the warranty is no longer in affect. If there is nothing manufacture wrong with the product, then there is no return or exchange on products due to the fact that every item is made to customers’ requests. Keep in mind that some products may be slightly different than the pictures online due to the custom made nature of the product. When you make something custom from genuine leather, no two items will be identical. Some of the pictures may be slightly altered from how they appear in reality. Colors may also vary as a result of differences between hides. Additionally, dark and light areas may appear on products due to particular hide. Horse hide tends to mot show detail as well as the bull hide leather dose. Any item returned must be unused and in “as new” condition. Must have original untorn package. Belts that are made to your individual sizing specifications are not returnable for exchange or refund. No exceptions! Please, carefully follow our measuring instructions on our “FAQ” page located under important links. Items returned for refunded, must be shipped back within the four-day inspection period following delivery to your address, and in the original packaging (padded envelopes are crushed easily in transit and any damages as a result will void any guarantee.) Returns made after the four-day inspection period, not to exceed 30 days from date of sale, will be accepted for exchange only! That is providing the item is both unused and in “as new” condition. There may be a 30% restocking fee. If you cancel your order, there will be a 8% charge. If you change your order throughout the process, there will be a $10 fee each time your order is changed. If you decide to cancel your order while your order is currently being processed or is completed, then there is a 30% restocking fee. After 30 days, all sales are considered final. Special order items, belts made to your individual sizing specifications, and all discontinued items cannot be exchanged or returned for a refund. Original or return shipping charges are not subject to refund or reimbursement. Must call or email before you return your product. Must send pictures of the problem of the product. If you do not contact us before you ship the item back to us, than your item may be lost in the returns department, no guarantee. Attn: Return & Exchange Dept. 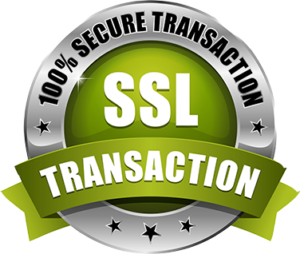 All client information is private and confidential; we do not share, trade, or sell to anyone. MTR Custom Leather elects to use PayPal for secure online transactions. The service allows you to send money without sharing financial information, with flexibility to pay using your PayPal account balances, bank accounts, all major credit cards or promotional financing. If you would like to pay over the phone via credit card, please call for assistance (336) 879-2166. There is a 4% credit card fee for transactions conducted by phone. The best way to check the status of your order once you have placed it, is by logging into your MTR Custom Leather account. Each week your order will be updated according to the time remaining. MTR Custom Leather holsters are constructed to fit standard factory equipped guns only. Additions such as trigger shoes, extended slide releases, laser sights or any alteration to the frame or external dimensions of the gun itself may render the holster unsafe and increase the risk of an accidental discharge. MTR Custom Leather holsters are made individually and specifically to fit a single make and model of handgun and are marked accordingly. At no time should a handgun other than the make and model of gun for which the holster is made be used in an MTR Custom Leather holster. It is the user’s responsibility throughout the serviceable life of the holster to personally check for proper fit and retention. This should be done each time the holster or accessory is used. If any MTR Custom Leather holster becomes worn, loose or ill-fitting with age, you should cease use immediately. Because MTR Custom Leather has no control over how its holsters and/or accessories will be used, or who they will be used by after their purchase, we disclaim any and all liability for incidental or consequential damages to person (s) and/or property resulting from the use of any MTR Custom Leather products. You should understand that the decision you make to carry a firearm, either for sport or for personal defense, carries with it a certain amount of risk and potential for injury or death. Therefore, it would be advisable that you seek out and acquire proper training before using any firearm or firearm related product. Note: MTR Custom Leather may change, delete, suspend, or discontinue parts or the policy in its entirety, at any time without prior notice.